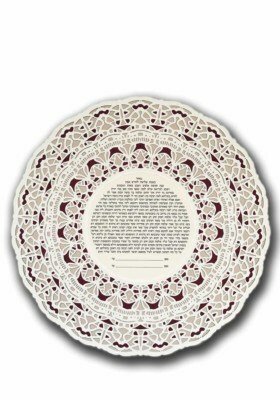 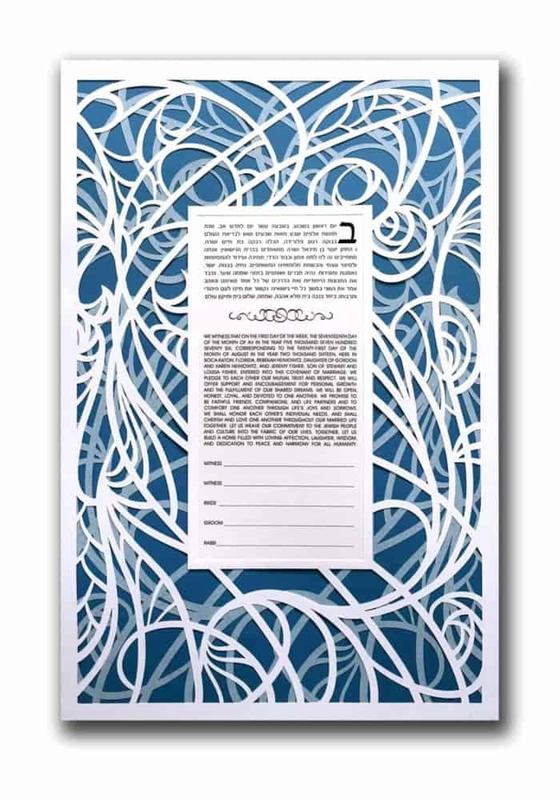 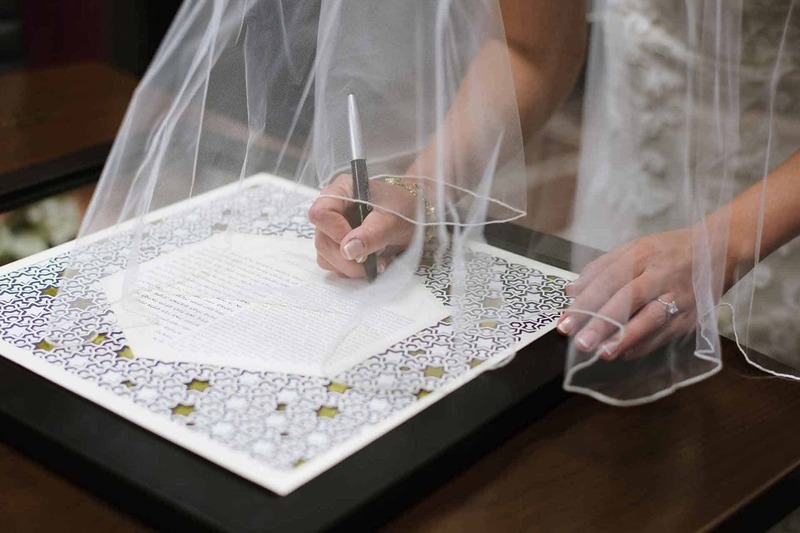 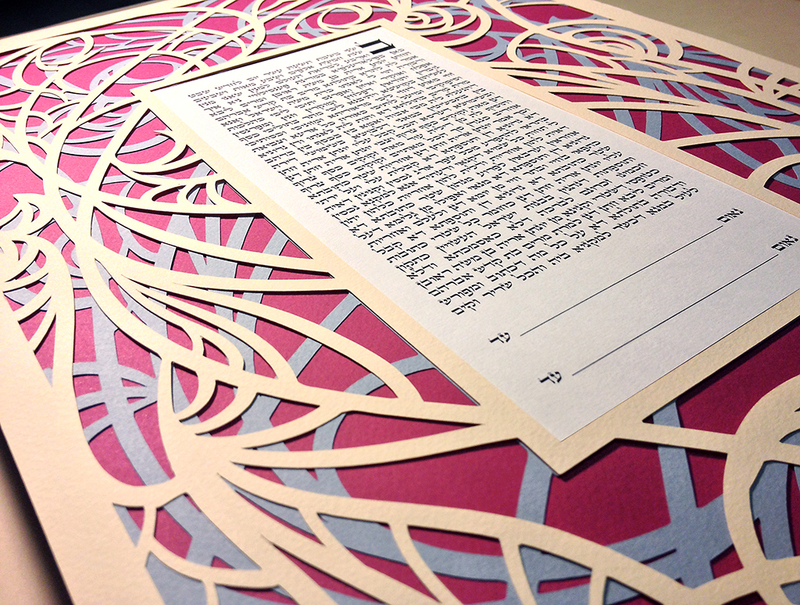 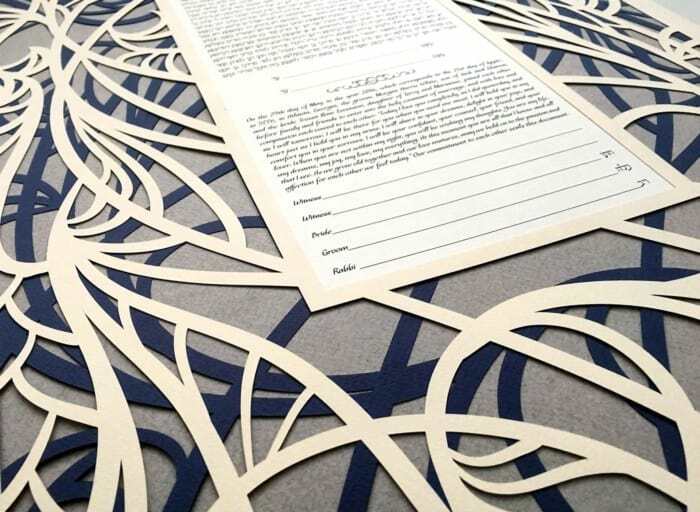 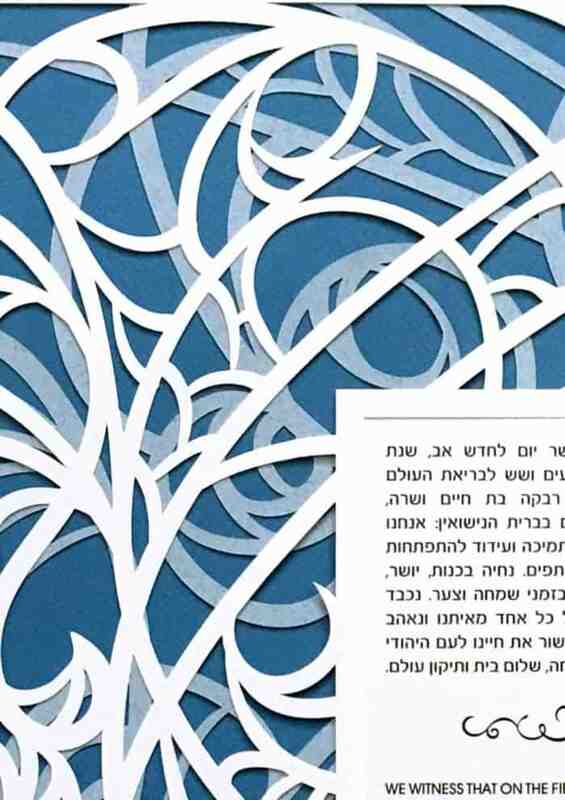 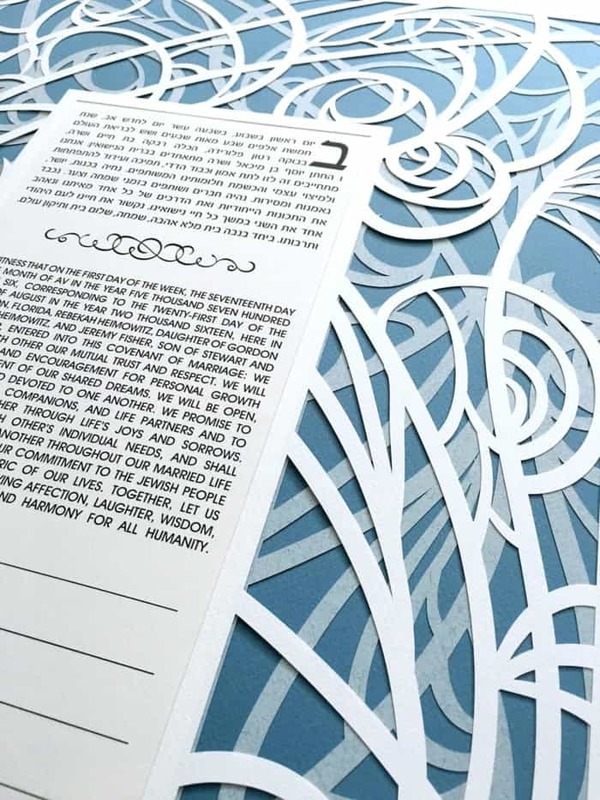 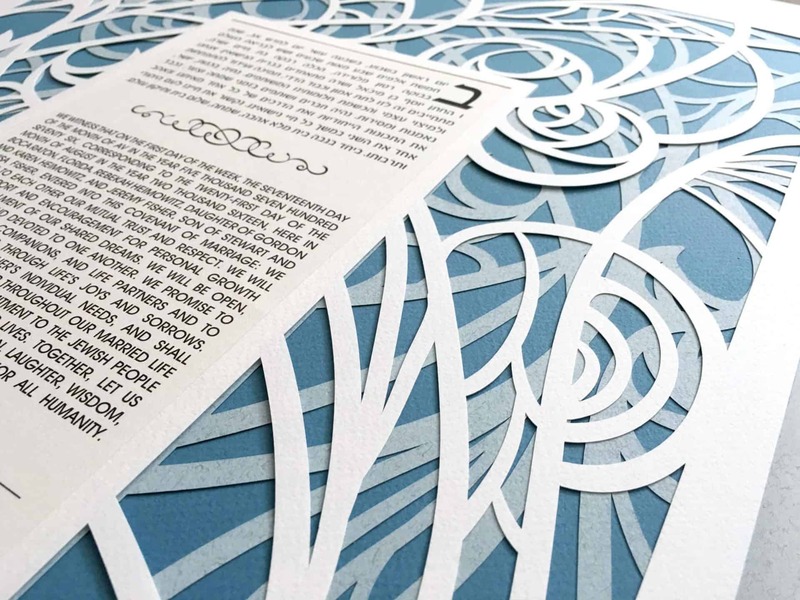 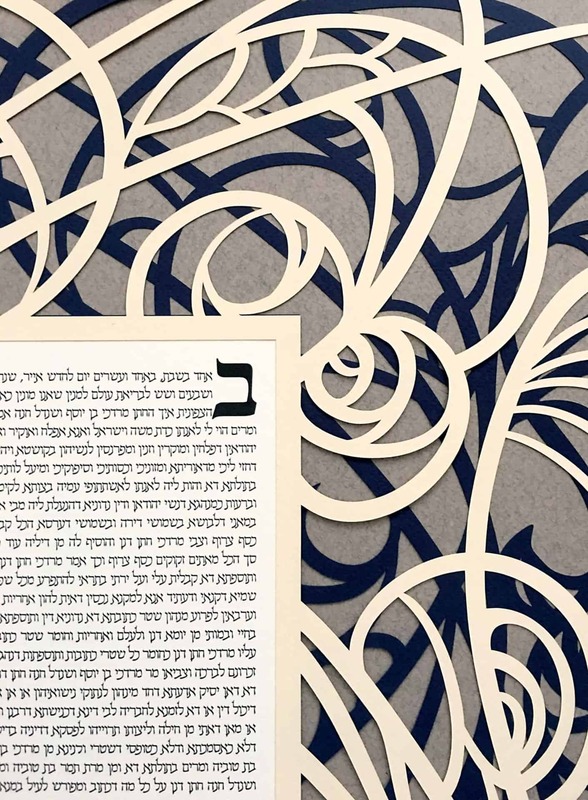 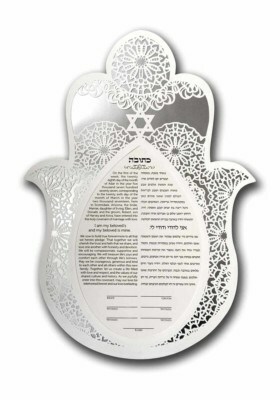 Celebrate your union with this fancy handmade double layer papercut ketubah. Abstract forms coalesce into a cheerful design that is sure to impress. 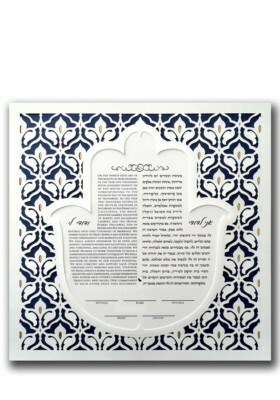 This double layer ketubah is composed of two complex papercut layers that interact with one another to give a three dimensional effect.